Title screen from the new version 4! Season 2 shown. Menus in wide screen. 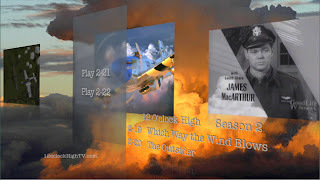 New improved video, audio and animated menus are a sight for 12 O'clock High TV series fans! A definite must-have for the 12 O'clock High fan!